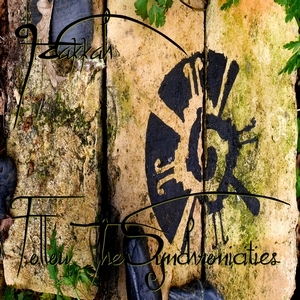 Follow The Synchronicities is the fourth album released by French producer Hakkah (Alexandre Brangier). Continuing to explore different psychedelic music styles, he turned this time to ambient music, deep trance, and downtempo while adding a variety of tribal atmospheres. Artwork and photo by Hakkah. MP3 Download | FLAC Download | WAV Download · Download count: 4,769. Enchanting groove. Into the forests of magic ..
“Libalayera Entrance” & “Petite Escapade” made it to the list of my personal Top 20 Psytrance Albums of all time. Great to hear a new Hakkah release, especially 2, 3 & 4 i like alot. Yes, thank you guys and thank you basilisk ! Fantastic as everything i’ve heard from Hakkah. Loved it!